As many of you already know I’m going on tour with Barbara Hannay and Christine Wells from 30th July – 11th August as part of the Love Between the Pages National Tour. I’ve been reading these five wonderful books by the other authors and love them all, but as there’s no room onboard RooBinEsque to store books I thought I’d give them away instead of leaving them at the various marinas we visit. Two of the books are Advance Review Copies and all will have been read, lightly I promise, by me! If you’re already subscribed to my newsletter then you have an automatic entry into the draw as a thank you for your loyalty. Otherwise subscribe to my newsletter and blog. If you’ve already bought a copy of RETURN TO ROSEGLEN then post a photo on Facebook or Instagram of you reading my book in your favourite spot. Share the posts on social media and tag me and friends you think might like RETURN TO ROSEGLEN. The more options you choose the more times your name is entered in the draw for this fabulous prize pack! Capt G will draw a winner on Sunday 29th July and I’ll announce that here and also on Facebook. 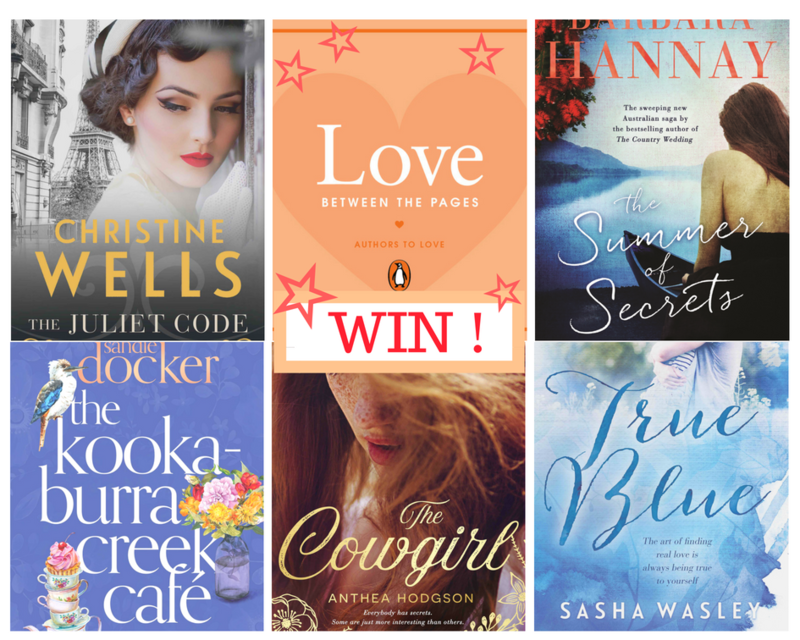 Blog #penguinbooksaus, Anthea Hodgson, Australian writers, Barbara Hannay, Christine Wells, Giveaway, Love Between The Pages Tour, Penguin Books Australia, Return to Roseglen, Sandie Docker, Sasha Weasley. permalink. Brilliamt giveaway! All amazing stories I’m sure. Fabulous stories, Cindy. I’m only sorry I don’t have a copy of the first two in the tour – Mother’s Day by Fiona McArthur and Amber and Alice by Janette Paul. I read them on my phone so I don’t have copies to give away!